200m2 gets a new company vehicle! Anyone who knows Tim Cronin, 200m2’s Managing Director, will know that he has always liked his cars! So when we received photos of the latest ‘Team Car’ from our sister company in Denmark, our illustrious leader really got excited! 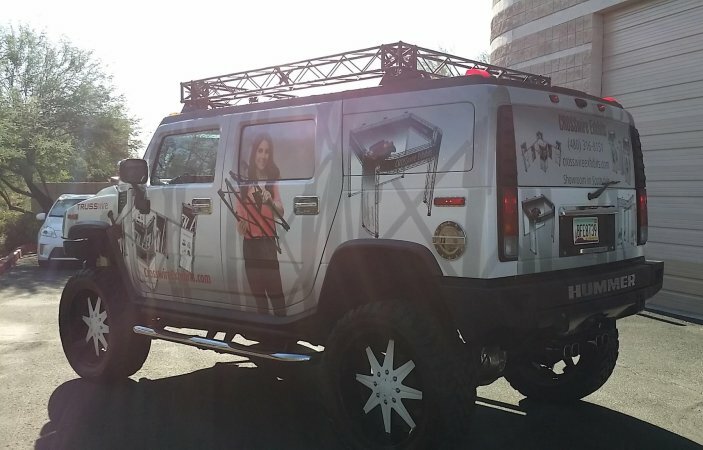 The new team car is an adaptation of the mighty Hummer H2. Half pickup, half SUV, the H2’s bold look, luxurious interior and unparalleled off-road performance make it 100% Hummer! And while it’s no longer being made, the H2’s host of standard features and durable 72-inch chassis means it’s as versatile as it is striking. Not to mention the powerful Biofuel capable V8 SFI engine that generates horsepower and torque numbers most SUVs can only dream about! Like our range of exhibition stands, the new team car is built to last. It is also designed and built to operate outdoors and in any weather. There’s another comparison with our modular exhibition displays; they can be deployed both indoors and outdoors with ease. To finish off the look, we have added a small section CROSSwire (X-10) to the roof of the Humvee as a highly effective roof rack! CROSSwire is one of the leading modular exhibition solutions in Europe and suitable for all small to medium sized exhibition stands. With a 10cm x 10cm profile, CROSSwire is ideal for dressing shell schemes as well as for standalone exhibition stands. The system works equally well when being used for display towers, display units or to frame bespoke furniture. CROSSwire is extremely lightweight, making it the most portable exhibition system in the world. To find out more, why not give one of exhibition consultants a call on 020 333 200 92. Previous Previous post: Is it the end for Earls Court?